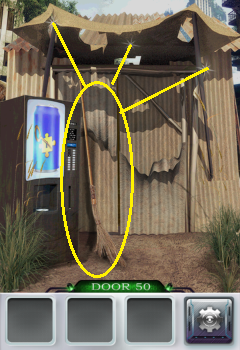 Pick up the broom and use it on the sparkles. Pick up the coins and put them into the machine. 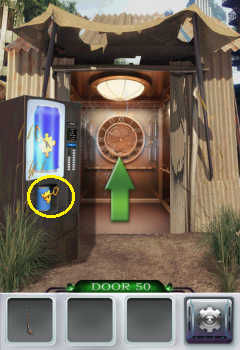 You'll get a can with the key.